After vacating our central destination Store in Grand Central Station in New York City, 1-800-4CLOCKS puts less emphasis on Antique and Vintage Clock Repairs and Watch Repair and Restoration Services. We still, however, will do in-home or in-office service calls when necessary, and/or by appointment at one of our other locations. Please call us about your specific repair needs, and we can discuss how to best follow-up. We repair ALL KINDS of wristwatches, from antique pocket watches to vintage to quartz watches. We are also able to work on almost any brand, including, as examples, Rolex, Breitling, Tiffany, Vacheron and Constantin, Patek Philippe, Omega, Movado, and Cartier. We can also handle most all pocket watch repairs, including as examples, Waltham, Elgin, and Hamilton. Cost of watch repair and/or service will be handled on a case-by-case basis, and, as with ALL OF OUR REPAIRS, we will not begin work until we receive your approval to begin any job. 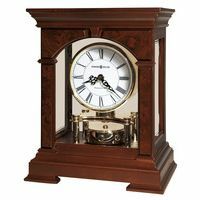 While most of our work is in antique grandfather clocks, antique wall clocks, and antique mantel clocks, as Authorized Dealers for Howard Miller Clocks, Ridgeway Clocks, Hermle Clocks, Kieninger Clocks, and Bulova Clocks (among others) we will repair vintage models from these makers. We will also fix vintage clocks and vintage watches - including pocket watches - for most all higher-end to medium-end brands. 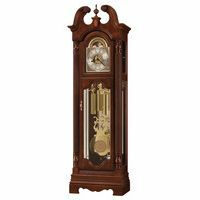 Grandfather Clocks repair and restoration remain one key specialty! We have been repairing and restoring all types of mechanical clocks for more than 20 years. All clocks movements are dismantled and ultrasonically cleaned. At that time the mechanism is inspected for wear and other problems. If it is necessary (e.g. significant pivot hole wear), the clock will have bushings installed and pivots polished to correct the wear. Also, the mainsprings will be inspected and replaced if broken or rusted. 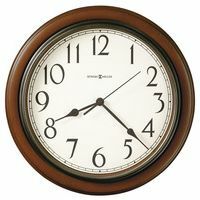 The clock will then be tested for at least 7 days to make sure it is operating properly before being sent back to you. We specialize in all types of American and European clocks, with the only exceptions being: 400 day or Anniversary Clocks, Cuckoo Clocks and Wood Works Clocks. A SPECIAL NOTE: One notable area in which we are particularly expert is in Antique Tower Clock Repairs (like Big Ben in London, and many old E. Howard and Seth Thomas Clock Towers) and the repair of Antique Street Clocks. We also install new Clock Towers and New Street Clocks (and perform service, maintenance and repair services as may be required). Despite this one area of specialty, we can and do repair or fix literally almost EVERY KIND of mechanical clock, especially antique. If you have clocks or pocket watches in any condition that you do not want to keep, we would be interested in them. We can either purchase them outright, or deduct their value from another clock repair. We are also interested in purchasing old pocket watch collections and vintage wristwatches.